You will earn 4,625 Reward Points. Earn 1 reward point for every 1 dollar spent. 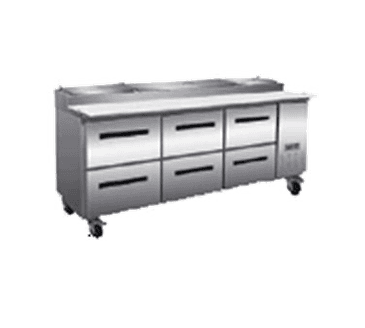 Maxx Cold X-Series Pizza Preparation Tables provide users with a reliable and efficient way to quickly prepare pizzas and are available at an unbeatable value. A stainless steel exterior ensures durability and years of reliable service.